Long ago the world was turned upside down. The sun shined all night and the stars all day. Rain fell upward from the ground to the sky. Sam knew something had to be done. He though hard to form a plan on how to make things right again. He tried to turn the earth over by himself but it was impossible. Adult s paid little attention so Sam sought help from his friends. More and more people tried to help. 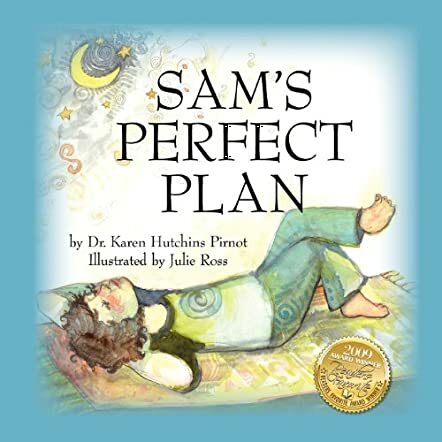 Sam’s Perfect Plan is the story on one boys belief in his own dreams. What a wonderful message to offer children, belief in their self and in their dreams. I also see a message of team work in this book. The story is well written. The illustrations are delightful. This book would make a great gift for children 5-9 years of age.